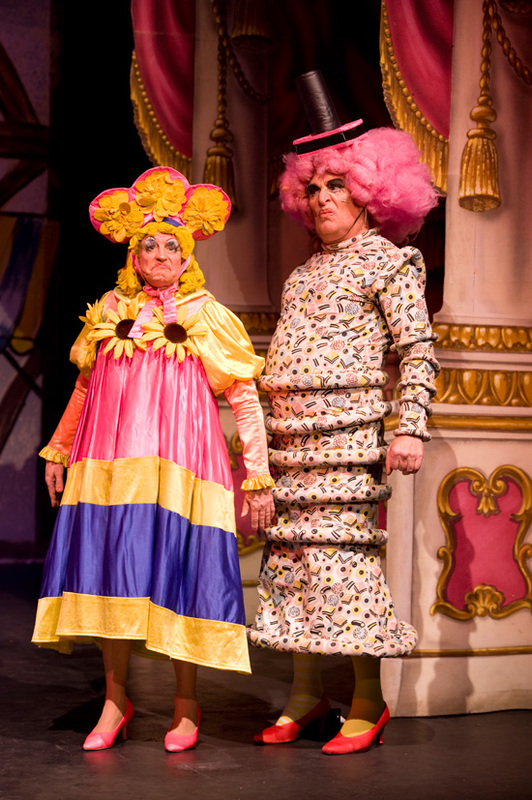 It is with deep regret and sadness that Simon & I learned that Stephen Howe, Pupeteer and Pantomime Ugly Sister- of “Darrock & Howe” fame passed away during the run of his pantomime last week, on December 9th. Our thoughts and love to his partner, Roger Darrock. 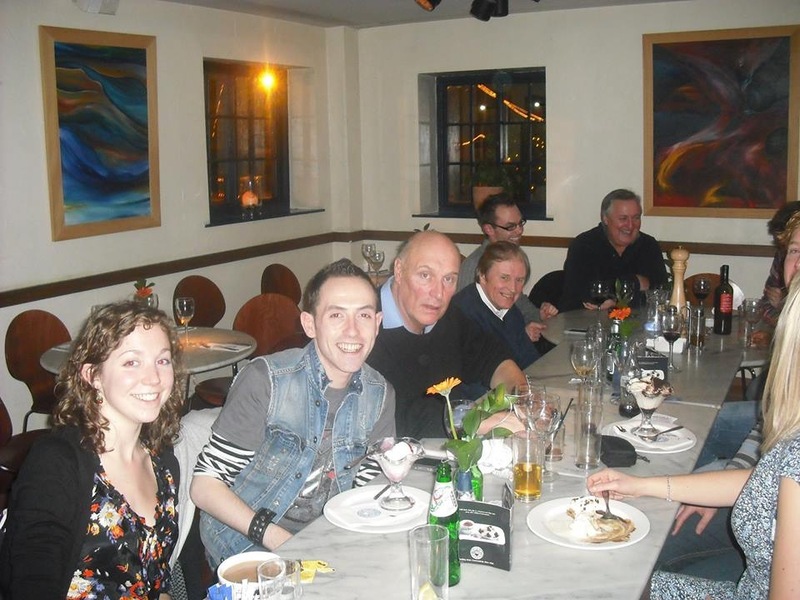 We received the following tribute from Jackie Grimwood and David Millard. Please feel free to email info@its-behind-you.com and we will add to these tributes. Stephen Howe enjoyed a long and diverse career. As a schoolboy champion skater in South Africa he featured in many Ice Spectaculars worldwide but his favourite venue was Blackpool Pleasure Beach. When his family returned to England he saw his first play at Bromley Rep and began his life-long love of theatre. As an acting ASM he worked in many pantomimes and small parts in film and theatre, but it was a job in The Stage that was to change his life; Faust the magician was looking for male assistants for his big illusion shows in Japan. On the flight there he met Roger Darrock who was to be his partner on the show and in life for the next thirty nine years. Roger is from an Acting and Variety background and between them, for the year of their contract they devised their ultra-violet puppet act, “The Sheratons”. 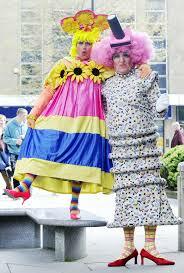 Hundreds of clubs and summer seasons and cruise ships later they decided to diversify as the days of the “spesh” act came to an end and another double-act as Ugly Sisters were born. Alongside this Stephen was a gifted psychic and palm reader and counted many celebrities amongst his clientele. 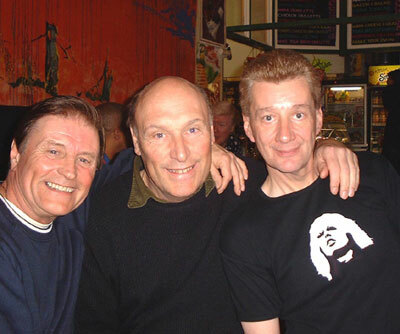 His old friend David Millard, the Coronation Street writer said “Stephen would have been proud to have died with his boots on (he was in his forty first panto in Bolton) but I’ll miss my funny, eccentric and mischievous friend very, very, much”. And the Comedian Duggie Brown said, since my wife, the Actress Jackie Grimwood and I first met Stephen while both appearing alongside him and Roger in the Pantomime “Cinderella” at Doncaster in 1994, he became one of our closest, and most endearingly loyal, friends. Stephen was a true professional, From the ‘top of his head to the tip of his toes’, a tall man, with a larger than life personality, a quirky sense of humour, and an ability to make his friends feel special, loved and supported, we will never forget Stephen, his physical presence we will miss forever. As a renowned and successful Psychic, He appeared on the Granada TV show, “Live time”. And was a co-author of the recently published book “Through Our Eyes” about the life of “The Elephant Man”, Joseph Merrick. 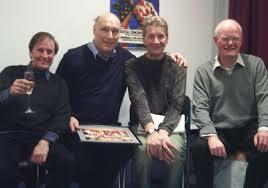 In the its-behind-you.com files I found these photographs that I had taken of Stephen and Roger alongside Peter Robbins. I worked with Stephen in my first Panto in 2009. I truly never met anyone like him before and never will again. Not receiving his regular phone calls anymore will leave a big gap. He never failed to cheer me up. He was an incredible special man. I’d like to thank him for all the advice. I’m so grateful to have caught up with him the day before he died. We had a great time and it’s a moment I will always treasure. a true professional and good friend. The funeral will be held at Telford Crematorium at 11am on Tuesday 23rd December. Stephen wishes that no one sends flowers etc., just to think kind thoughts of him on the day. I never met Stephen, but I spoke with him several times through a very difficult time in my personal life. He helped me enormously, and I credit him with helping me find my partner when he was in hospital with a very bad stroke. Stephen was a tremendously kind man and it was always such a pleasurable and uplifting experience to have a conversation with him. I thought of him just the other day and was going to try to arrange a call to update him on how things have moved forward for me as I know he would have been keen to hear of positive developments. It was only then that I saw the terribly sad news about his death. This was the only email address I could find through which it might be possible to convey my condolences to his family and to his partner Roger. I can only apologise that my wishes come so late.